Here comes another romantic-drama offering from one of today’s most celebrated love tandems on TV and movie. After their 2014 movie “So It’s You” and their recent GMA drama series “My Destiny”, Carla Abellana and Tom Rodriguez will surely once again impress their avid fans with what their undeniably chemistry as a loveteam has to offer, which was first discovered and proven in the controversial 2013 teleserye, “My Husband’s Lover” where they portrayed the role of a couple. Directed by Jose Javier Reys, “No Boyfriend Since Birth” is another addition to the list of romantic flicks released by Regal Entertainment this year. 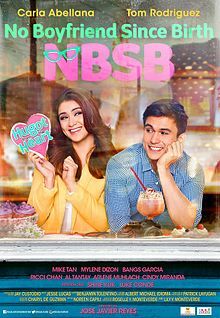 The movie’s story is basically about Karina (Carla Abellana), an “NBSB” girl, who unexpectedly gets into a romantic situation with “Carlo” (Tom Rodriguez) and the love story eventually goes on. 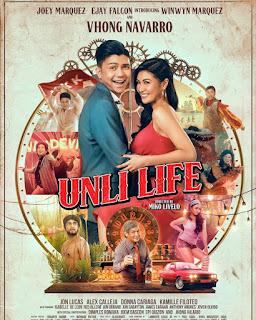 It was written by Noreen Capili and it is highly anticipated that many hopeless romantic Filipinas today would relate to Carla Abellana’s character in this movie. Will Tom Rodriguez’ character be the one to break her no-boyfriend-since-birth record? It’s up to you to find out. There is no doubt that the alluring pretty face of Carla Abellana and the magnetic smile of Tom Rodriguez will capture again the hearts of their solid fans who have been dying to see more of their “kilig moments” in this promising 2015 romantic-drama film. Not only that. These two TV and movie stars have already proved their acting prowess when it comes to heavy drama as well. Their notable charming scenes from their previous projects are also very much anticipated to be reborn in this upcoming “kilig much” movie. “No Boyfriend Since Birth” also stars Mike Tan, Bangs Garcia, Mylene Dizon, Arlene Muhlach, Al Tantay, Ricci Chan, Cindy Miranda, Luke Conde, and Shine Kuk. This exciting romantic drama movie will be shown in cinemas nationwide on November 11, 2015.